Last Saturday, I stood at the Cincinnati International Airport, confounded as to how I missed a flight that hadn’t even taken off yet. I mean, I got up a 3:45 a.m., was out the door by 4:10, and I made it to Cincy two hours before like a good little rule-follower. The first hurdle was the fact that CVG, the company that runs long-term parking, was down something like ten shuttle drivers, which meant I stood in the dark with a hundred other folks waiting for a tiny bus to make thirty trips to the terminal. 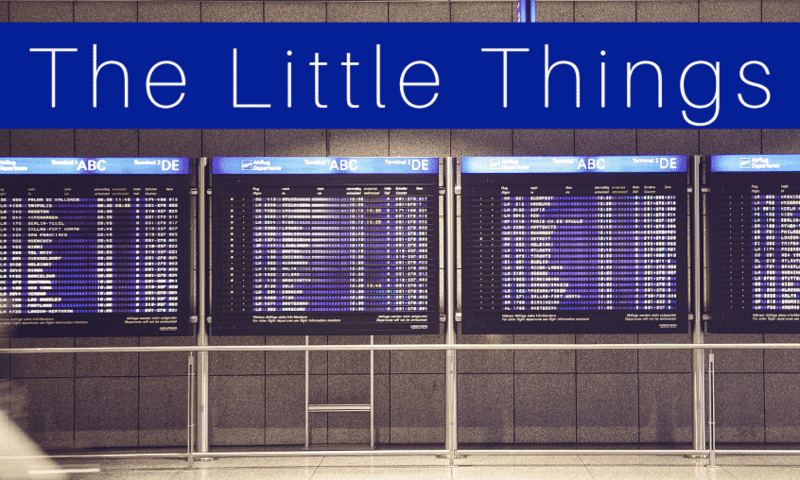 When we finally got to the airport, three of the United Kiosks were down, and there was only one employee behind the counter, facing a firing squad of pissed off passengers demanding answers as they tossed bags onto the scale. Now writers love to observe, and so I looked around. I took in the way the United worker kept a smile plastered on her face while she was treated like pond scum. As the line progressed, I listened to the father in front of me rant and rave, and it struck me how sad it is that some people feel justified in treating others like a whipping post because things didn’t go as planned. Twenty minutes later, twatwaffle-alpha-male-that-screams-to-get-his-way finally left, and it was my turn. The woman kept her eyes on the screen as she informed me that we’d passed the window of opportunity for my luggage to make it onto the plane. I could leave the bag and make the flight, or if I wanted to check a bag, I’d need to be rerouted. To say I was frustrated was an understatement, but that didn’t mean I had the right to lash out at the poor worker running her one-man show. So instead of adding to her misery, I smiled and thanked her, telling her that even though she couldn’t get me on my flight, I appreciated the effort. She latched onto the gratitude like a drowning man to air, and I swear if she wouldn’t think me a freak, I’d have hugged her. It always amazes me how two people can go through the same thing yet have such different outcomes. A lot of people that morning missed their flight. The guy in front of me chose to be ugly, making the employee, his wife, and his children miserable in the process. As for me, I chose to find a coffee shop, grab a quiet corner, and crack open the laptop and write. 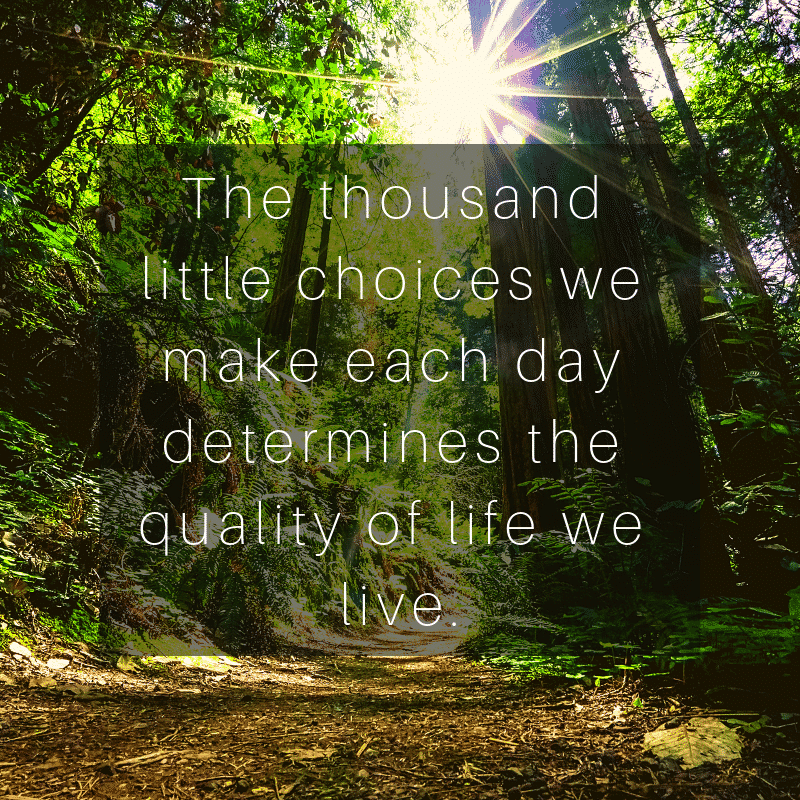 It really is true that the thousand little choices we make each day determines the quality of life we live. Here is the thing that strikes me, other than the fact that you were capable of making mindful choices at O dark-thirty, is the impression the twatwaffle is leaving in his wake. For you as a writer, he was unpleasant noise, but once the encounter was over, it is over, unless you choose to write the scene into a novel. In which case, I’d prefer the version where the poor gate clerk finally loses it and uses the twatwaffle as target practice. The rest of her customers would be polite and orderly I daresay. For the gate clerk, she’s going to carry that hatred being spewed at her for at least the rest of the day, compounded by all of the other twatwaffles she will have dealt with by the end. Maybe a stiff drink, a LONG soak in the bath with peaceful music playing will be all she needs to chalk it up as an awful day, but one that overtime will fade in her memory. But what about the twatwaffle himself and his family. The impression will last longest with them … because here is what he unwittingly did … he taught his children that when you don’t get what you want, throw a temper tantrum. ESPECIALLY if all his yelling and screaming made a difference. Then the lesson gets underscored. The children may have been upset (and probably were) with daddy yelling his head off, but he is schooling them on how to handle an adverse sitation … and his lesson was to be the biggest toddler in the room. He’ll probably hate when they mirror his behavior and wonder why they cannot be rational and reasonable. He will probably never know that he taught them to be rude, ugly, and insensitive. Children soak up their surroundings. Of course, they could make a choice that they do not want to grow up to be a twatwaffle.